The Book of Genesis tells us that Abraham was childless, without hope of children, and that one night God summoned him out of his tent and said to him: "Look now towards heaven, and count the stars if thou art able to number them." And as Abraham gazed up at the starts he heard the voice say: "So shall thy seed be." The Messenger Abraham later had his first son through Hagar, an Egyptian. The angels communicated to her, "behold, thou art with child, and shalt bear a son, and shalt call his name Ishmael; because the Lord hath heard thy affliction." Abraham named his son Ishmael, which means, "God shall hear." When the boy reached the of thirteen, Abraham was in his hundredth year, and Sarah was ninety years old; and God revealed again about Ishmael, ".. Behold I have blessed him.. and I will make him a great nation. But My covenant will establish with Isaac, which Sarah shall bear unto thee at this set time in the next year." Sarah gave birth to Isaac and it was she herself who suckled him; and when he was weaned she told Abraham that Hagar and her son Ishmael must no longer remain in their household. And Abraham was deeply grieved at this, on account of his love for Ishmael; but again God spoke to him, and told him to follow the counsel of Sarah, and not to grieve; and again He promised him that Ishmael should be blessed. There were two holy centers within the orbit of Abraham; one of there were at hand, and the other perhaps he did not yet know; and it was to the other that Hagar and Ishmael were guided, in a barren valley of Arabia, some forty camel days south of Canaan. The valley was named Becca, some say on account of its narrowness; hills surround it on all sides except of three passe. The Books do not tell us how Hagar and her son reached Becca, perhaps some travelers took care of them, for the valley was on one of the great caravan routes. And God heard the voice of the lad; and the angel of God called to Hagar out of heaven and said to her: What aileth thee, Hagar? Fear not, for God hath heard the voice of the lad where he is. Arise and lift up the lad and hold him in thy hand, for I will make him a great nation. And God opened his eyes, and she saw a well of water. The water was a spring which God caused to well up from the sand at the touch of Ishmael's hell; and thereafter the valley soon became a halt for caravans by reason of the excellence and abundance of water; and the well was named ZamZam. As to Genesis, it is the book of Isaac and his descendants, not of Abraham's other line. Of Ishmael it tells us: And God was with the lad; and he grew and dewlt in the wilderness and became an archer. After that it scarcely mentions his name, except to inform us that the two brothers Isaac and Ishmael together buried their father in Hebron. But there is indirect praise of Ishmael and his mother in the Psalm which opens How amiable are Thy tabernacles, O Lord of hosts, and which tells of the miracle of Zamzam as having been cause by their passing through the valley: Blessed is the man whose strength is in Thee: in whose heart are the ways of them who passing through the valley of Baca make it a well. When Hagar and Ishmael reached their destination Abraham had still seventy-five years to live, and he visited his son in the holy place to which Hagar had been guided. 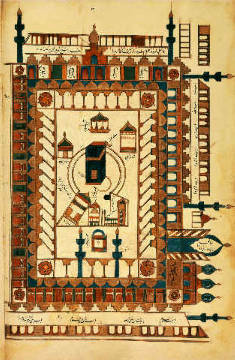 The Koral tells us that God showed him the exact site, near to the well of Zamzam, upon which he and Ishmael must build a sanctuary, and they were told how it must be built. Its name, Ka'bah, cube, is in virtue of its shape which is approximately cubic, its four corners are towards the four points of the compass. God spoke again to Abraham and bade him institute the rite of Pilgrimage to Becca or Mecca, as it later came to be called: Purify My House for those who go the grounds of it and who stand beside it and bow and make prostration. And proclaim unto men the pilgrimage, that they may come unto thee on foot and on every lean camel out of every deep ravine. Now Hagar had told Abraham of her search for help, and he made it part of the rite of the Pilgrimage that the pilgrims should pass seven times between Safa and Marwah, for so the two eminences between which she had passed had come to be named. And later Abraham prayed, perhaps in Canaan, looking round him at the rich pastures and fields of corn and wheat, Verily I have settled a line of mine offspring in a tilthless valley at Thy Holy House... Therefore incline unto them men's hearts, and sustain them with fruits that they may be thankful. Abraham's prayer was answered, and rich gifts were continually brought to Mecca by the pilgrims whom came to visit the Holy House in increasing numbers from all parts of Arabia and beyond. The Greater Pilgrimage was made once a year; but the Ka'bah could also be honored through a lesser pilgrimage at any time; and these rites continued to be performed with fervor and devotion according to the rules which Abraham and Ishmael had established. ~ On the History of Ka'bah, the House of God and how Pilgrimage was established by Abraham and his son Ishmael from the writings of Martin Lings' Book, Muhammad: his life based on the earliest sources. 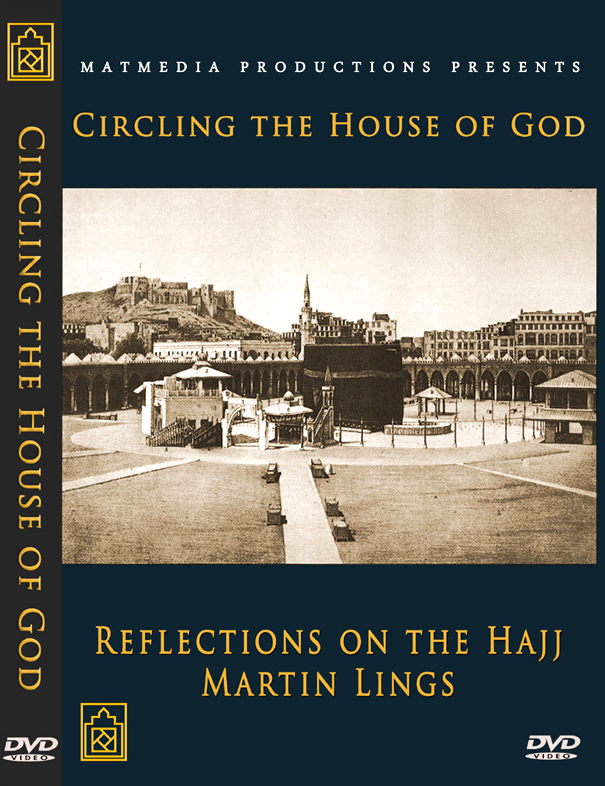 The modern sage, Dr. Martin Lings, who was truly a remarkable man of our time, provides a valuable account of his personal experience of going to Mecca and performing the Pilgrimage. An enlightened man that he is, this account was published as a DVD called, "Circling the House of God" is now available to watch on Youtube. By way of an introduction of this modern scholar and sage, Dr. Martin Ling who was given the Muslim name, Abu Bakr Siraj ad-Din and the baraka of the name certainly prove to be true, for he is described by those who knew him, as someone who is sincerity personified, the very quality of the original personality of Abu Bakr, the friend-companion of the Prophet. And indeed through his contribution he was, is and will continue, by the grace of God, to be a lamp of the Din, of the Primordial Religion of Surrender to the Highest. At the end of this post I am attaching the PDF version of Q News Magazine which featured Dr. Martin Lings in one of it's cover and there are articles about him worthy reading for those who wish to know more about his amazing life. 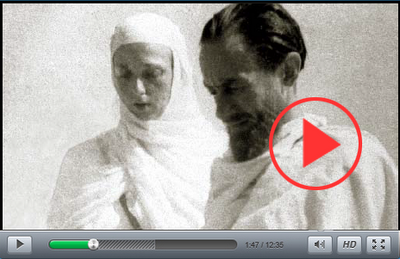 In 1948 he performed the Hajj or pilgrimage to the holy city of Mecca. The Documentary film Circling the House of God recollects his experience along with his insight into its historical background. An indefatigable traveler to the very end, he made the last of his annual journeys to the East in January 2005, a few months before peacefully passing away in his home at the age of 96. 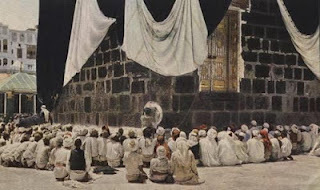 Here Shaykh Abu Bakr shares how it was so different from present time, both the outward world and the experience of Hajj during the late 40s when he performed the Pilgrimage. In the film, he goes through his experiences as he went along with his beloved wife from the University of Cairo where he was teaching at that time and in the video, he being a scholar of religion, interweaves beautifully Abrahamic history associated with the Holy place of Mecca. May Allah bless the soul of Shaykh Abu Bakar Siraj ad-Din. al-Fatiha to his noble soul. 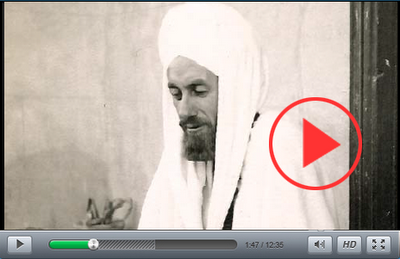 In 1948 Dr. Martin Lings, Shaykh Abu Bark Siraj ad-Din made his first pilgrimage to Mecca. This post shares his experience through a documentary film tiled, "Circling the House of God". 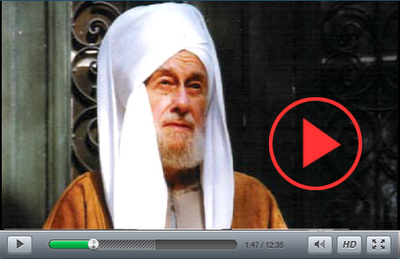 This is a very valuable reflection on Hajj by a prominent spiritual figure of our time.